He refuses to go outside without it. 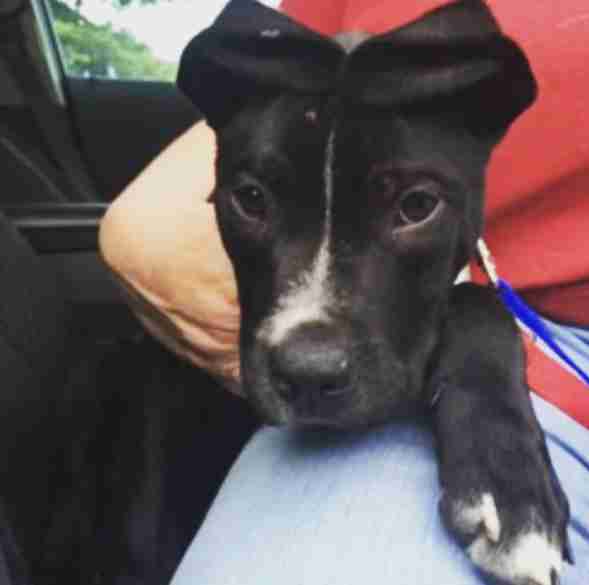 When he was just a few months old, Odie was taken in by a rescue, where he was soon adopted by his awesome new mom. He went to live with her in Seattle and couldn’t have been more thrilled — until the rainy season started, and he met the awful, evil rain for the first time. 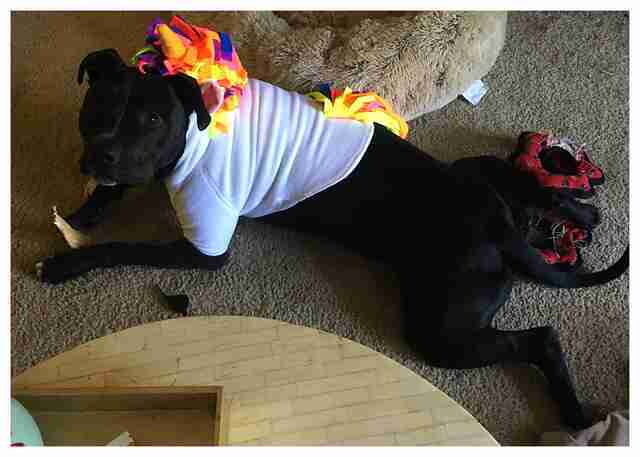 When Lennon first got Odie, he had a skin condition, so she got him a hoodie to wear to protect his exposed skin and help keep him warm. 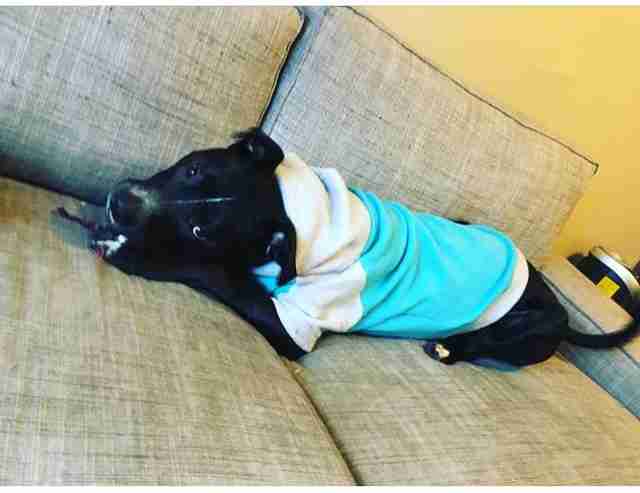 He absolutely loved the hoodie, as it seemed to make him feel safe — and that’s when Lennon realized she should get him a raincoat. 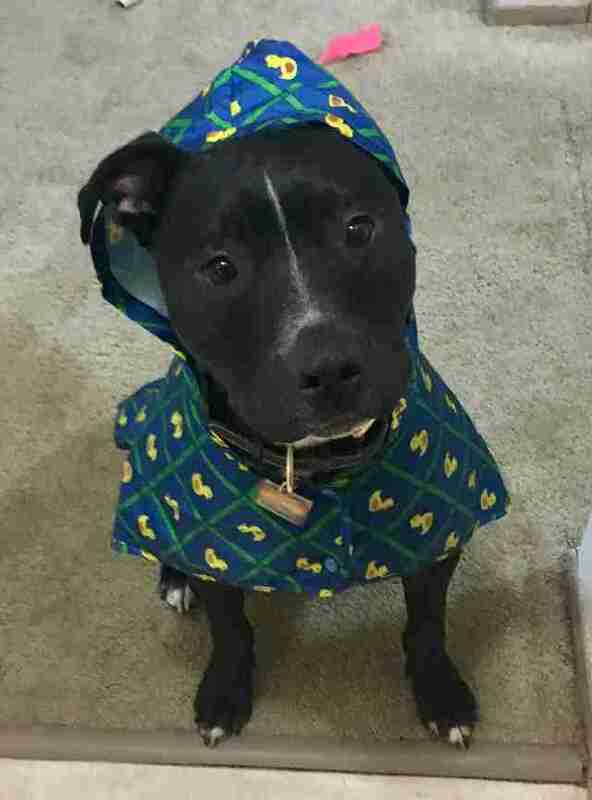 Odie immediately loved his rubber ducky raincoat just as much as his hoodie, and just as his mom had hoped, it helped him to be brave enough to tolerate the rain a little more. Odie is much more comfortable facing the rain now that he has his raincoat, and he looks absolutely adorable wearing it, which is a huge plus. “He isn't great about keeping the hood on but he does seem to appreciate staying more dry overall,” Lennon said. 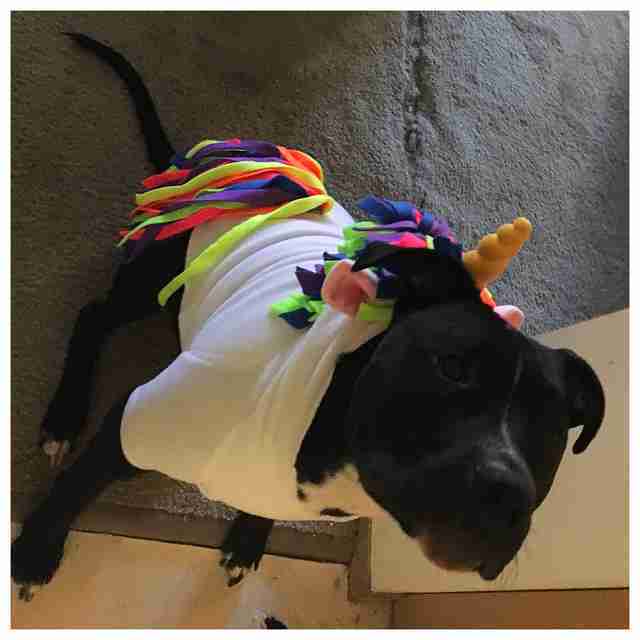 … like his unicorn costume. Seattle is a very rainy place, but with the help of his raincoat and his many other outfits, Odie has found a way to face his fears and always make sure he’s feeling safe. You can follow Odie and all of his adventures on his Instagram account.